Since I was a kid, I have been a big fan of Godzilla. 🙂 Strangely enough that I never thought before of drawing him. 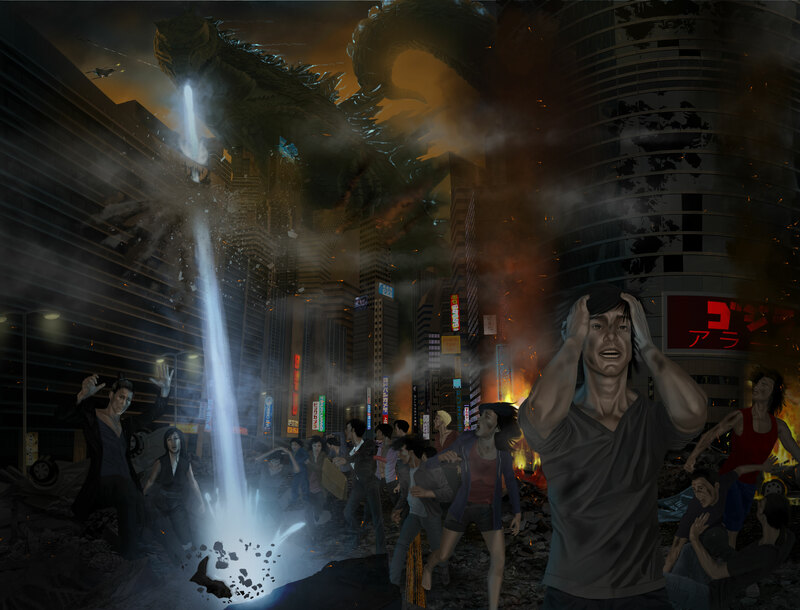 Last year’s Godzilla movie brought it back to my mind. A really awesome movie! I loved the new premise in which Godzilla was not the big bad guy but a natural corrective fighting a parasite that threatened to change the balance of Nature. Also used this drawing to practice matte painting. The fronts of the buildings and the rubble were taken from CG textures, a stock photo site which I hold a membership with. So loving these guys! 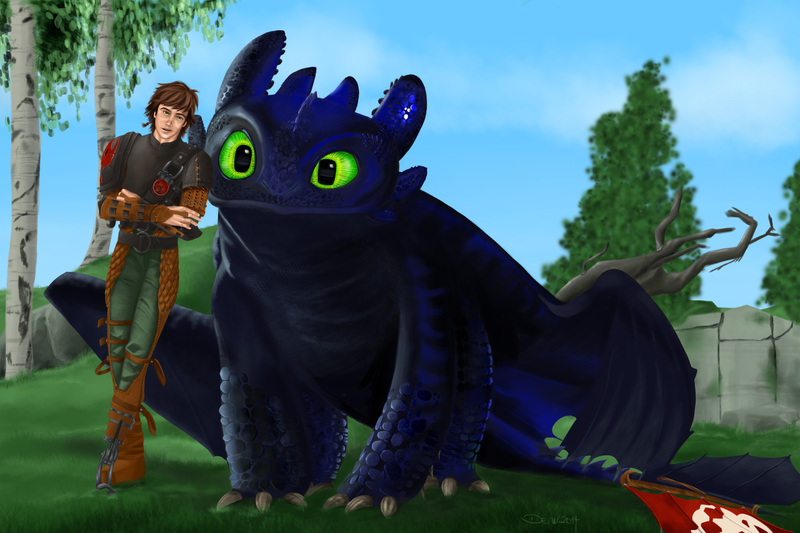 Hiccup and Toothless from How to Train Your Dragon 2. 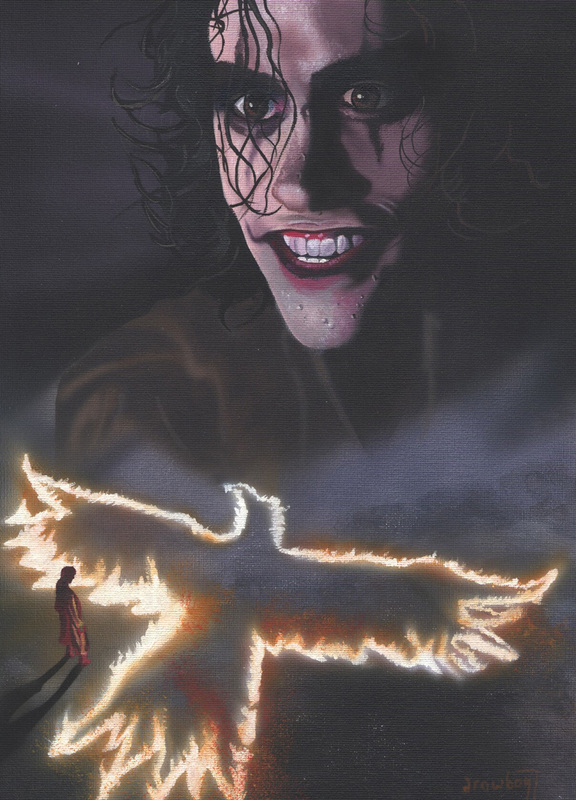 Watched that movie a few years ago and it pretty much impressed me. So I sat down and created this painting with traditional art materials: oils, acrylics, brushes and airbrush.